I’ve mentioned in many of my posts (like this one or this one) the importance of proper stomach pH for healing the gut and for general wellness. However, there is another aspect to the gut-healing journey, for some patients. If the stomach lining is damaged significantly, the acidity of the stomach, (what’s required for good digestive function), can damage fragile tissue. In these cases, the patient can use an additional supplement, such as mastic gum, between meals to heal this partially destroyed mucosal layer. This supplement can be used alongside a healing diet, such as the GAPS Introduction diet. Mastic gum, also referred to as mastica, is the resin obtained from the Pistacia lentiscus tree, commonly sourced from the island of Chios in Greece. We also see this plant used historically throughout the Middle East and Northern Africa. Mastic gum’s medicinal properties have been utilized for thousands of years for gastrointestinal ailments and related health concerns. These include the prevention of ulcers, ease of stomach discomfort, the killing off of bacteria, stubborn coughs, and teeth cleaning. Mastic gum is both antibacterial and antiviral. It has anti-inflammatory and anti-oxidant properties. Mastic gum enjoyed a revival in the 1980s and 1990s when scientists discovered that it kills Helicobacter Pylori (H. Pylori). This infection affects the mouth, stomach, and intestines. Although this bacteria is present in billions of guts worldwide, when it becomes invasive it exacerbates or causes conditions like gastritis, peptic ulcers, stomach cancer, glaucoma, and Hashimoto’s. Mastic gum has been used historically to treat cancers of breast, liver, spleen, and uterus. Modern science has shown the validity of its use in such cases, and added to this list its benefit to the colon and heart. Mastic gum is also used to treat heartburn, gastroesophageal reflux disease (GERD), Crohn’s disease, chronic sore throat, herpes simplex, and to improve cholesterol levels. Tangentially, mastic gum is used in traditional Greek, Turkish, and Arabic cooking. Mastic is rich in terpenes. Terpenes are found in a variety of plants, giving them their unique scent and sometimes flavor. In this case, terpenes are the major organic compounds present in mastic gum’s resin that help to fight bacteria. The constituents are also believed to regulate and improve signaling between cells. Many scientific papers state the effectiveness of mastic for various health conditions, yet state that the exact mechanism of action is still unknown. As aforementioned, the stomach’s pH, especially during digestion, is highly acidic. In a healthy stomach epithelial cells produce and secrete a thick layer of mucous to protect themselves from the acid and enzymes. We require an acidic stomach not only to digest protein and other foods, but also to stimulate multiple digestive mechanisms, including the sphincter valve (lower esophageal sphincter [LES]) that connects the stomach to the esophagus (thus preventing heartburn and acid reflux), the liver that produces bile (which breaks down fat), the gall bladder that releases bile, and the ileocecal valve (between the large and small intestine) that when properly closed helps to prevent SIBO (small intestinal bacterial overgrowth). The proper stomach pH also helps to prevent the overgrowth of microorganisms and undigested food in the intestines (which leads to a systemic immune response, food sensitivities, inflammation, and autoimmune disease). So while the stomach must be acidic during meals for digestion to work properly, we can work between meal times to rebuild the mucosal lining. The burning feeling some patients feel in their stomachs during or after a meal, occurs when the acidic environment of the stomach comes into contact with damaged tissue. This burning feeling can become an ulcer, if not addressed. Mastic gum can be taken in quantities between 1000 and 5000 mg. daily for many months, or longer, safely. In addition to killing harmful bacteria, it is speculated that it promotes new cell growth, thus rebuilding the epithelial cells that produce the mucosal lining. One study recommends using mastica for many months to see a reduction in H. Pylori colonization levels. Due to emerging antibiotic resistance as well as the costliness of antibiotics, it’s considered an excellent alternative treatment. (I would add that antibiotics destroy the patient’s beneficial gut flora, largely foundational to good health.) Your doctor can determine if you have an overgrowth of H. Pylori through a blood test or with a urea breath test. You can find mastic gum capsules here. If it appeals to you to actually chew the resin’s “tears”, this is the gum that can be chewed! I believe there may be an additional benefit to choosing the gum option, as it kills bacteria in the mouth, stimulates the salivary glands (the first step in digestion), and acts much like oil pulling: our mouths help our bodies to detoxify! The gum is not sweet and has a mild pine flavor. Ideally, patients can choose both options, as the capsules are easy to take between meals to help rebuild the mucosal lining and/or to kill bacterial overgrowth. And the gum, again between meals, is stimulating the entire alimentary canal and detoxifying the body. If you’re someone who prefers fewer supplements but a multi-pronged approach, you might like this blend of mastic gum and deglycerized licorice, by Designs for Health. It also contains a few other excellent ingredients, necessary for gut healing, including Vitamin C to help rebuild tissue, vitamin U (also known as the enzyme S methylmethionine, found in gentle, healing cabbage juice), and zinc for reducing inflammation. Many patients use deglycyrrhized licorice in conjunction with mastic gum. Licorice root has been used in Chinese medicine for centuries. Its many healing compounds have shown it to be anti-inflammatory, antibiotic, and rich in antioxidants. When licorice root is sold as deglycyrrhized it’s been standardized to remove components that can cause side effects, making it safer universally. DGL should be used short term, or intermittently. 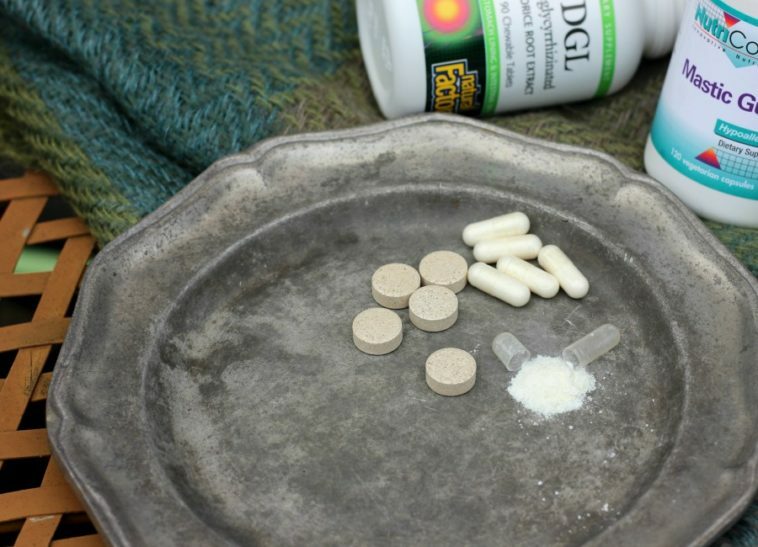 DGL can be used to help heal leaky gut. It soothes (increasing mucous production in the stomach), helps to prevent ulcers, works against nausea, stomach pain, and even helps to regulate cortisol levels, sometimes providing relief for adrenal fatigue. Licorice root is also anti-viral, great for the immune system. This DGL comes in chewable form, first stimulating the salivary glands, and should be taken 20 minutes before meals. Have you used mastic gum? What about DGL? I’d love to hear your experience. Wow! This is so interesting! I had no idea about either of these. So interesting in the gum form too, I’m going to get some to try. Oh good! I hope you enjoy it and see a benefit! I have never heard of either of these supplements! As always, I learn a ton from you and your site, Megan! Thank you! Great information, Megan! Gut healing is so important! Indeed, some of us live that mission every day! 😉 Thank you. Have not used mastic gum. Will explore. The licorice — in different ways over the years, yes.. Mastic gum no. Wow, thanks so much! I know many who will benefit from this info! I’d never heard of either before! Great, Kelsey– yes, it turns a despairing health prognosis into one of hope, with a plan. Sometimes it’s necessary to try multiple approaches as several can get us closer to our wellness goal. Is it specific to H. pylori? I’ve really worked to rebuild gut health, but I worry that this might also upset a renewed gut biome. Not all anti-bacterials are necessarily good for the gut. 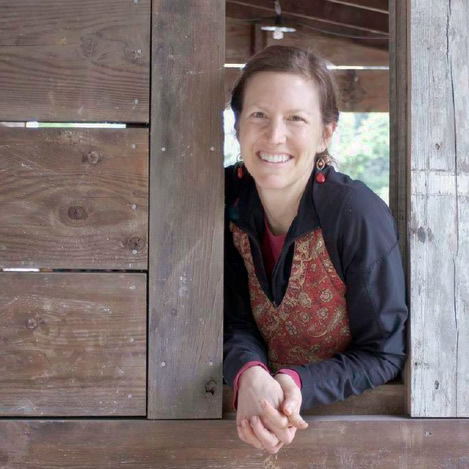 Hi Evelyn, researchers are still trying to understand the nuances about what makes mastic gum work, but it’s been used in multiple cultures for millennia in their food preparations with no negative side effects. It’s considered safe for long-term consumption; it’s gentle. This is not like oregano oil or other pathogen killers that can be harmful. That’s my opinion, based on my reading. This is really interesting – I have only heard of mastic gum in relation to getting the jaw to work properly to help it form and work properly…not for gut health. I have just recently begun to use both gum and DGL. However, I am uncertain about spacing the mastic gum and my probiotics. Does the gum kill the friendly bacteria? Wondering the same thing. Some refrigerated probiotics are indicated to take with a meal so it’s buffered within the food which protects it more from stomach acid. Other probiotics which are unrefrigerated and enteric coated/time released, indicate to take on an empty stomach. Always take mastic gum on an empty stomach. Hi, I have used both. I really have noticed a big difference with the mastic gum. The DGL not as much, and I wanted to only take it for a limited amount of time. 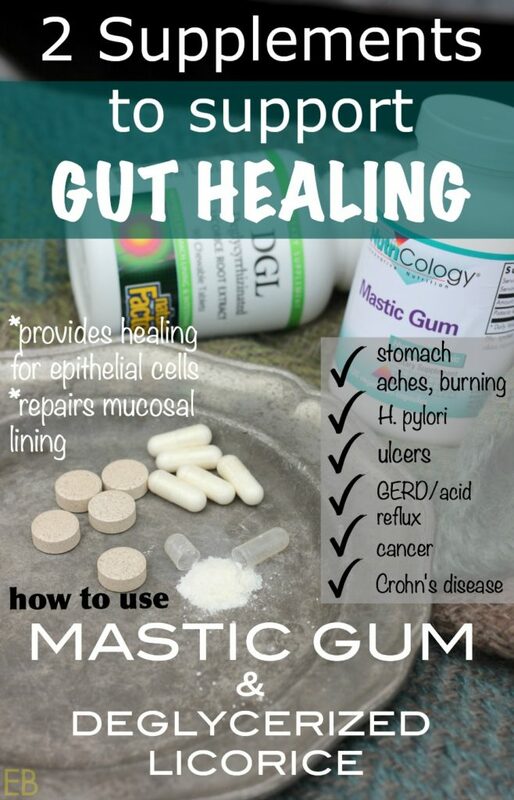 But I think if one were to only take one thing to improve their gut health, it should be mastic. Unfortunately, it’s a bit pricey. But I’ve found that and Krill (only a particular brand) to have the most apparent beneficial effect on my stomach and inflammation/arthritis issues. Just a quick question. It says mastic gum capsules should be taken on an empty stomach / between meals. With or without water? How much water? Hi Esthi, with water. It doesn’t have to be a lot, just what it takes to swallow them comfortably. Just watch for side effects with Mastic Gum. I started taking it 2 days ago and have experienced burning in both kidneys and in the pancreas, which I did not have before. It happens only after I take the Mastic Gum. On a good note my stomach feels great. Lisa, you mentioned burning in your kidneys and pancreas. Did you stop taking it or lower the dose? My organs are already overburdened from toxicity. I’ve been taking mastic gum but do notice I get pains in my liver and kidneys at times which scares me. How long before or after a meal should you consume Mastic Gum? Hi Megan. The bottle of Mastika I have purchased says to take two capsules (500mg) before bed. Is this correct? Hi Beatrice. That’s certainly one option. Ideally the capsules are taken on an empty stomach, so that could be first thing in the morning, or at night before bed if you eat an early dinner. Thank you for posting this article on natural healing. I have experienced great help from both that you shared here. I was treated by Doctors with PPI s for Acid Reflux in 2011 to 2013. The pain and burnings never stopped with the the acid blockers given by Docs but got worse. Then H pylori developed. More drugs added. Docs gave repeated H Pylori packs I had used up and still the pain continued. Some Docs are clever in having people hooked up just like this for prolonged treatment. For business. Thanks to the wonderful people who help to educate others online, on causes, and natural help for digestive problems. I really didnt had acid reflux in the first place but was fed PPI s. I needed to work on better digestive health instead. Naturals like, Apple Cider vin, Betaine Chlorhydrate ( occasionally when heavy meats ), Mastic gum, DLC, several seeds like anise, fennel, Cumin, Dill, Carraway. These helped me. The H pylori n Stomach pains dissappeared. I ate anything again which I had to stop using under Docs wrongful treatment. . I slept more than 8 hrs compared to the 3 hrs when Docs fed PPI s. However I made a grave mistake in August this yr 2018. I was feeling a pain in lower sternum (the indent at the bottom part of my chest), Only. Not in the stomach or upper part of Chest. Just thought it was good to have it checked. So off to my fam Doc. Who ran some tests. All normal results nothing wrong showed. The fam Doc however referred me to this long ago Doc who had treated that H Pylori back in 2012. Big mistake. He asked me. That the last time he saw me that I had H Pylori but now ( July 2018 ), I didn’t had H Pylori… He asked…Soo what were you taking? I answered Betaine Chlorhydrate. The Long ago Doc demonstrated psychotic behaviour at taking of the Betaine. He got upset. Said that is an Acid.. why are you taking an Acid. He continued, he was sending me for a gastroscopy to check out the stomach. I didn’t realise how mad this old fellow was. I trusted the Docs and so had the gastroscopy done on Aug 17th 2018 at the Provis Rudd Clinic by Doc Walid Abhawi. They kept me there from 10.30 Am till 2.00 Pm. Two bags of IV fluids the Doc Abhawi ordered and were administered in my veins, after he did the gastroscopy. What for, This was strange I told myself that day. Then , nn my way home that I felt like fainting. Overnight, burnings pains flew upl to my throat and down into my small intestines and around to my groins. Which I never had in my life. Next day the 18th, my Navel area swollen. Burning pains still down into my small intestines that me made me jumped up from my sleep after only 2 hrs. From then Aug 17th to this day Dec 13th 2018 I have been left to suffer from this Doc crime. Just for gotton myself healed from Acid Reflux and H Pylori by using natural herbs and not the PPI s / Pylori Pac. Under anestheisia, the Wicked evil Abhawi, used his scope with sharp biopsy clip as an assualt weapon on my Pylorus and Duodenum organs. ..Knowingly ripped / clipped and reduced fragments on the area of my Pyloric Sphincter canal. So now this organ not closing when I sleep. The acids flies up and down my digestive system. Here is where I got to experience Some Docs are wicked bad and can be criminal. I had stopped using PPI s and used these natural herbs. After, I didn’t feel any pain or burning during the day time. I also could have eaten any food hot spicy acidic hot peepers coffees etc. No problem. At nights I went to bed no pains and no discomfort what so ever. Also, I fell asleep in a jiffy. With the Doc PPI s this did not happen the pains got worse. Recently, in the mornings I woke up with a little pain only in the lower sternum. Not anywhere below the diaphragm. Not half way up the chest either. So For that I drank one tablespoon of apple cider vin with a cup of water. It worked very well. After this simple drink I could have gone back to sleep for another 3 hrs easily as I did many times. H Pylori disappeared too. See, why caution needed if you need to tell Docs you are using natural herbal supps? I decided to have a check up for the little pains in bottom of my chest on morning wake ups. He querried how come I didnt had H Pylori. I had used the Betaine Chlorhydrate with my foods I said to him. The Doc got upset. He then set me up to take gastroscopy with the plan to inflict damage / causation to break my sphincter muscle. . I trusted the Doc as I didn’t realised they don’t like, or hate, this Herbal treatment. After the gastroscopy done I have pains in stomach to my throat, all around my Navel inside the pylorus day time and night time. Licorice root should not be taken by anyone with Endometriosis and/or fibroids. Suzanne do you mean licorice root or DGL or both? Both! Plus when I took DGL after an Integrative MD swore it wouldn’t be an issue, I bled so heavily for over 10 days on my period ( I have both Endometriosis & fibroids), that I passed out. It can also lower your BP & mine dropped dangerously low. It is so important to check out every herb, there are so many possible interactions. Do you know if mastic gum also kills the good bacteria in the gut? Hmm, this is good question. We know what mastic gum kills bacteria so how can we be sure it does not kill good bacteria? Can mastic gum damage kidneys or liver ? Harry, I hope you get a response to your question. I commented above about this concern but haven’t received an answer. No reply … but r u still taking mastic gum or u stopped when you have burning in kidneys ?